Set just two miles from San Francisco's San Pablo Bay, Acacia Vineyard is in the heart of Napa Valley's Carneros wine region, with stellar views of vineyards and the bay. This premium winegrowing region enjoys the cooling influence of the Pacific Ocean and summer fog, making it an ideal growing area for Pinot Noir and Chardonnay. 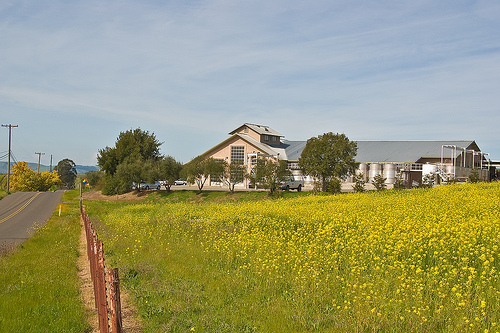 Acacia was founded in 1979 and was a pioneer in the Carneros appellation. Acacia continues as a leader in Carneros as a member of the Carneros Wine Alliance.